Bring home the Earth's mightiest heroes! 12 action figures straight out of the big The Avengers movie. They're all hyper-ready to do battle against evil! Figures measure about 4-inches tall. Ages 4 and up. Bring home the Earth's mightiest heroes! 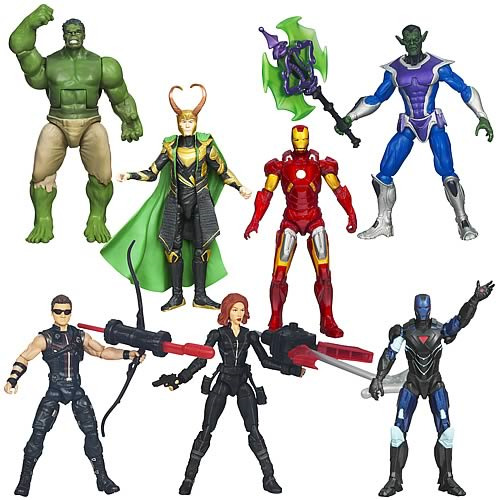 These fantastic action figures are straight out of the big The Avengers movie. They're all hyper-ready to do battle against evil!